Amy by Raine English is the twelfth book in Beach Brides Series featuring Amy Sheridan who was one among the twelve online book club friends who met on Enchanted Island three years back and on a dare threw bottles with messages to their dream heroes out to the sea. Now, everyone with the exception of Amy is either wed or engaged, all thanks to those messages that got found by men who turned out to be their soul mates. Amy, on the other hand, is still waiting to hear from her dream man. Disheartened and heartbroken because she really did hope to find her love when she threw the bottle, she doesn't want to be an object of pity when she travels to attend the reunion to meet her friends in a few weeks on Enchanted Island. A chance encounter with a most handsome man, Dawson Yates, leads to a proposal to a fake engagement which will apparently solve her and his problems. Is this the start to a romance she has always been waiting for or will it lead to a heartbreak of the worst kind? The cover is gorgeous and very eye catching. Combined with the blurb, it will make readers stop to take notice of the book. 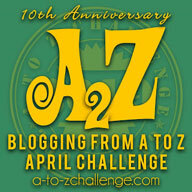 Despite being part of a series, this is a standalone story. All books in this series are individual stories and can be read out of order. 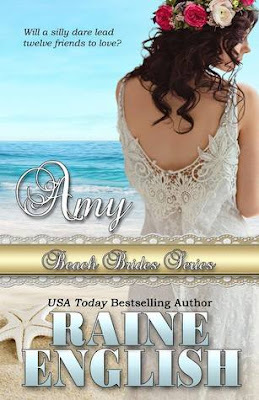 I have read and enjoyed Raine English's books in the past so when I heard about her contribution to Beach Brides series, a series I am absolutely enjoying and highly recommend to everyone, I jumped at the chance to review it. The story is a quick read and I easily finished it in one sitting. The plot had great potential but overall I feel that the execution could have been better. Some parts feel rushed and left me wanting more. The characters are easily relatable and I loved both these people. However, the character development is rushed and I feel the author should have given more page space to developing Amy and Dawson's romance so that their relationship looked more plausible. Another facet that wanted more work is the back story and its connection to the future. Both Amy and Dawson had reasons to enter the whole fake relationship but once there, nothing is shown how this affected (eased or worsened) their reasons. A more detailed reunion with the other Beach Brides would have definitely added more appeal to the story and given my romantic fan heart a jump. I also wanted to know more about Dawson's relationship with his parents. Despite some facets of the story that didn't give me the closure I craved, I still loved reading this clean romance book which has some really memorable moments and gave me new goals to achieve when I next plan my vacation, like saving money to book an overwater villa! Both Amy and Dawson are lovely people and I rooted for their happily-ever-after throughout the book. All in all, Amy by Raine English is a breezy, quick beach romance that is suited for all age groups. I give it 3 stars out of 5 and strongly recommend the Beach Brides series to everyone. Am so sad to see the end of this beautiful series and hope more such series get published in the future.